Whether playing football, shooting hoops or running heavy mileage, the knees are probably the joint most susceptible to injury. 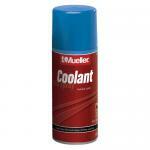 As a result there are a multitude of products offered to protect this precious part of the body. The products offered can basically be divided into three categories, those that provide padding from impact, those that provide compression and minimal to moderate support, and those that provide compression and maximum support. McDavid, a leader in all types of braces and supports, breaks down their knee products into 3 levels, level 1, level 2 and level 3. The McDavid 6446, probably the best selling knee accessory in the marketplace, provides hex padding which although lightweight, provides excellent protection from the impact of falls or collisions. It is used regularly on the basketball court and we carry special makeup colors which will match virtually any uniform color. 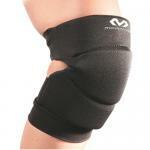 The McDavid 402 (level 1) is an example of a minimally intrusive knee support which provides warmth and compression with limited support. 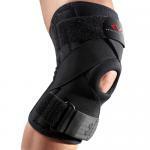 This would be worn by someone suffering from moderate arthritis or perhaps a slight knee sprain and its main function is to prevent the knee from swelling during exertion. 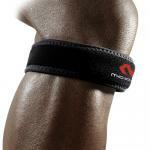 The McDavid 425 (level 2) is a step up, it comes with heavier neoprene and straps to provide additional knee support. 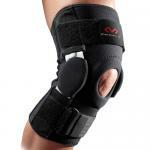 This would be an appropriate brace from someone coming back from a torn meniscus. 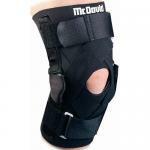 The McDavid 429X (level 3) is an example of a knee brace that provides superior compression and knee support. 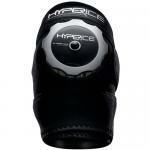 It contains supportive neoprene, hinges and straps and is worn by athletes such as football linemen to protect their knees from injury as well as by individuals coming back from serious knee injuries such as torn ACL's. We offer a broad selection of styles in all 3 of these categories in all sizes. Our goal is to keep our athletes on the field and, if injured, to get them back on the field with the necessary protection to prevent further incidents.